madbull edited Steps To Reproduce on T80058: BIS_fnc_saveInventory does not save the magazines ammo count. madbull edited Steps To Reproduce on T79667: enableRopeAttach has no effect on lifter. madbull edited Steps To Reproduce on T79497: Command enablePersonTurret not exist on stable 1.32.
madbull edited Steps To Reproduce on T79345: Command playScriptedMission doesn't work. madbull added a comment to T79345: Command playScriptedMission doesn't work. This argument is accepted by the Arma engine as an optional value. But still not working if set to true. Limnos island ? Seems old stuff. Did not success to use/modify the script. madbull added a comment to T79203: KeyDown UI event handler does not provide correct code for key combination (only single key press). Bind the MiniMapToggle to a single key and a combo key. > The single key is working for actionKeys and inputAction. > The combo key is NOT working for actionKeys. BUT working for inputAction. > The single key is working for actionKeys. BUT NOT working for inputAction. > The combo key is NOT working for actionKeys NOR inputAction. (_this select 1) in actionKeys "MiniMapToggle"
4.86539e+008 <=> "Ctrl + M"
I presume the value contains a binary codification for Ctrl/Alt/Shift. We need at least the scheme of codification on the Biki to handle with it. Using (inputAction "MiniMapToggle" > 0) in the KeyDown event handler is not reliable. If a dialog is opened (like the main map), the value returned by this command is most of time equal to 0.
madbull added a comment to T79144: [CLOSABLE as duplicate] Line break not possible in edit field with <i>style = 16</i>. It would be really great to have this control working as expected (multi line text field). madbull added a comment to T78359: BIS_fnc_setHeight make engine crash on high altitude. Crash confirmed on Win7 64bits. It is not directly linked to BIS_fnc_setHeight but to the setPos* commands. On my computer crashed appears for player's altitude equals to 1000000000000 or 10000000000000. Just before the CTD, arma3.exe uses all the available memory (4GB). madbull added a comment to T77946: AI walk through setPos'd static objects [repro mission]. To help us planning some coming community's development : what does mean this status "reviewed" ? It means "will not be solved" ? It is a code to be executed on each computer. It creates a helipad at the exact same position than the setPos'd object. It is a trick to force the Arma engine to run its routine which updates the obstacles for AI pathfinding. I tested it long time and it works, even in multiplayer. * First helipad is to get the exact reference position of the object. * updating the pathfinding obstacles for this position. Thanks for the clarification about "reviewed" and "acknowledged" :) It was not clear for me. "Static" obstacles for AI path finding. As you said, this function is probably called after the mission init to take into account the setPos in object's init lines. So we can choose (on SQF-side) to update the data structure when the update should be needed. madbull edited Steps To Reproduce on T77946: AI walk through setPos'd static objects [repro mission]. madbull added a comment to T77569: Missing of scripting command : damageAllowed object. Compute a condition depending of the damage event context to know if the current Damage Event has to be ignored -> I succeed hardly with HandleDamage EH. The first need is not perfect because doing "allowDamage true" at the end may do vulnerable an object which has been set invulnerable by another script or by the mission maker. The second need was hard due to the getHit missing but never mind. I used some tricks and it is not 100% perfect. Couldn't you use the setVariable command when changing the damage allowance in the provided example? Of course if there is only my script running on Arma. But we need the command to ensure compatibility between other scripts and with the mission maker choices in the initialization line (if he adds "allowDamage false" on specific objects). Using (then removing) the event handler HandleDamage to return 0 is not a viable solution. Because returning 0 doesn't only make it invulnerable, but also do a "setDamage 0". In addition, the missing of the "getHit" command makes difficult/impossible to keep the health status properly. Thanks for your comments. I'm agree for the command name, isDamageAllowed is clearer. What do you suggest ? :) You have a better solution to make temporary an object indestructible (without "corrupting" its current damage state) ? madbull edited Steps To Reproduce on T77569: Missing of scripting command : damageAllowed object. madbull added a comment to T76699: AI Pathfinding Issues [PRIMARY REPORT]. madbull added a comment to T76620: getHit command. It if can help, here is how to ignore damage on a specific condition. When selection is empty, we need to use the command "damage. This command is absolutely needed to work with HandleDamage EH. EDIT : I see some people making their own "gethit" implementation using set/getVariable on the unit. But we still need the command ! This is not a viable solution. madbull added a comment to T76514: Add new commands for getting and setting text cursor position in EditBox dialog controls. The request is not about setting the mouse position on the screen, but to set/get the cursor char position in the string entered in a text control. madbull added a comment to T76449: weaponDisassembled event handler would be more useful if it provided a parameter pointing to the static weapon. WeaponDisassembled EH should passed the disassembled weapon as 4th paramter. This missing creates a potentiel bug in my project. Would be great to cancel the weapon disassembly by returning false. The command cursorTarget can be used to get the disassembled weapon. It works only for the local player. And this not a safe way to retrieve it. To work also for units different from player, commands like nearestObject could also be used. But this is a very unsafe way. BIS, please add this 4th parameter. No, I thought too before testing it. But I succeed to retrieve the dismounted weapon with cursorTarget. Maybe the near* commands don't work (too slow ?). 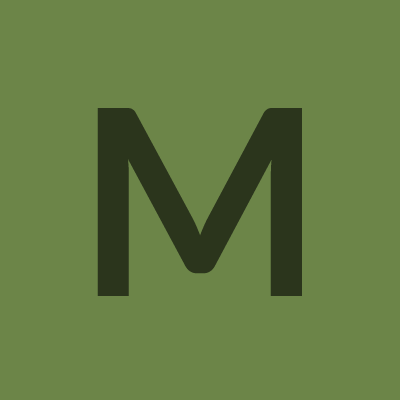 madbull added a comment to T76445: Request for command "getArtillerySolutions". "Then of course, a command to determine the current charge setting that is selected would be nice (and an indicator on the non-artillery computer UI)." These two points are a missing. The command inRangeOfArtillery returns a boolean, not the firing angles. The high or low trajectory don't really matter as long as the artillery is able to hit the target. It matters. The flying time is very different (can be 10 sec low and 35 sec high). The accuracy and impact angle is not the same too. Note : "direction high" and "direction low" will be always the same value with the arma ballistics. But using this returned array format is more accurate and pratical (empty sub-array means "solution not exists"). madbull edited Steps To Reproduce on T76445: Request for command "getArtillerySolutions". madbull added a comment to T76214: Please make it possible to load entire ammo crates into vehicles using the carrying handles..
Maybe try [R3F] Logistics ( http://makearmanotwar.com/entry/4DWDt4DY7i#.VFeUovmG98F ). It is an external script, but maybe what you are seeking. madbull added a comment to T74244: Grenade/Smoke/Chemlight bugs with clear/add cargo to uniform/vest/backpack. madbull edited Steps To Reproduce on T74244: Grenade/Smoke/Chemlight bugs with clear/add cargo to uniform/vest/backpack. madbull added a comment to T73184: AI leader force player to disembark of vehicle. Sorry, I just found an existing ticket. Didn't searsh with the good keyword. madbull edited Steps To Reproduce on T73184: AI leader force player to disembark of vehicle. madbull edited Steps To Reproduce on T72935: Missing of scripting commands for inventory. madbull added a comment to T72230: selectNoPlayer command doesn't work. After using the commande, we keep the control of the unit. madbull added a comment to T72143: Introduce SkipRoleAssignment = 1; param into description.ext. Any news about this kind of feature to launch quickly the mission to dev ? madbull added a comment to T71344: Soldiers will not fire on dangerous civilians. madbull added a comment to T71337: Inventory dialog could not detect mouse buttons beyond left and right.. The problem concerns not only RscDisplayInventory but any dialog. madbull added a comment to T71150: Make the splendid camera rotation not be restricted by mouse at edge of screen. Confirmed. It will be nice to have it. madbull added a comment to T71146: drawIcon3D not rendered in camera without cameraEffectEnableHUD. I finally found what is the exact problem. It is not related to the dialog opened, but to camera view without using the command cameraEffectEnableHUD. I put a mission file to show the difference with and without cameraEffectEnableHUD. It is no more a matter for me, since using cameraEffectEnableHUD allow drawing icons in camera mode. I don't know if it is a bug or a feature. But I think drawIcon3D and drawLine3D should have the same behavior. You are right. The conditions to produce the problem are more complex. I'm investigating on it and will update the ticket. madbull edited Steps To Reproduce on T71146: drawIcon3D not rendered in camera without cameraEffectEnableHUD. madbull edited Steps To Reproduce on T71010: Control CT_EDIT - ST_MULTI : Implement carriage return and tabulation. madbull added a comment to T71003: MouseButtonDown on dialog/control : mouse wheel not fired. Updated : The problem is also available on the controls of a dialog. madbull edited Steps To Reproduce on T71003: MouseButtonDown on dialog/control : mouse wheel not fired. madbull added a comment to T67858: drawIcon3D won't use textures in the mission folder..
Nice one, thanks :) It will be very useful. Textures from mission can't be loaded. Only from addons. Hope it will be changed. madbull added a comment to T66176: camSetDir command is bugged. We can use setVectorDirAndUp (or setVectorDir) for 3D vector. Or setDir for azimut angle. madbull added a comment to T64630: When a squad leader says "Disembark", it kicks me out of any stopped vehicle. Where is the choice?!?. The problem still exists in the DEV branch. madbull added a comment to T63829: lineIntersectsWith not detecting infantry. Waiting for a solution too. madbull added a comment to T63011: Cannot retrieve weapon items/vests/headgear/uniform/backpack from player immediately after death. In 1.01.110097, most of inventory commands are still bugged/unavailable for a dead unit. We have to implement weird, heavy and unreliable tricks to bypass this problem. madbull added a comment to T62760: copyFromClipboard not returning anything..
 Changed: copyFromClipboard now does nothing in MP, copyToClipboard does nothing in MP on clients. Hope it will be enable back to allow import/export with community tools. Summary and description should be updated.